This innovative charity bond has reached its £10m target setting a model for future issues in the sector. Of particular note was the unprecedented demand from retail investors which resulted in an oversubscription of the retail allocation of the bond. 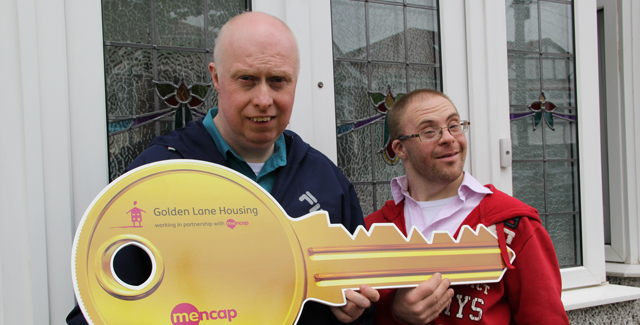 The funds raised through the bond are being used by Golden Lane Housing (a wholly owned subsidiary of Mencap) to acquire freehold properties which will be specially adapted to house people with a learning disability. With a fixed gross yield of 4% per annum for the five year fixed term, the bond provides a compelling combination of financial returns and social benefit. The growth of charity bonds is gaining momentum. Earlier this month Prime Minister David Cameron stated that, “social investment can be a great force for social change,” and said his government will give tax breaks to investments that qualify as having a “social impact”. To ensure positive ongoing relationships with its investors Golden Lane Housing has made a commitment to supporting the secondary market in the bond by using Ethex. The Ethex platform will make it easier for people who wish to invest to be matched with people who wish to sell. Most importantly these bonds will enable charities and social enterprises to finance themselves cost effectively in order to achieve greater social impact. As a longstanding leader in the social investment market, Triodos Bank is planning to issue more charity bonds later this year as a number of charities and social enterprises look to this form of financing in order to develop their commercial activities and support their charitable objectives. A charity bond is a simple fixed income, investment product. It is similar in structure to any standard corporate or government bond where the borrower enters into a formal contract with investors to repay a loan at maturity, with interest paid at fixed intervals over the life of the bond. The bond itself can be issued as either secured or unsecured debt.The payment of interest and repayment of capital isn’t tied to specific social outcomes as it would be for a social impact bond. Social investment is an emerging investment class which involves generation of a blended social and financial return on capital for the investor. Social investment can include equity, bonds (charity bonds, social impact bonds) or other forms of debt which are typically issued by charities and social enterprises. The social return is achieved as a result of the deployment of capital raised by the issuer in sustainable and social beneficial activities.